The draws for the Senior and Intermediate Football Championship Round 2 were made in Parnell Park this week. 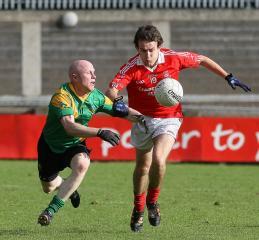 The Senior Football Championship fixtures will be played when Dublin Inter-county fixtures (football and hurling) allow. Intermediate Championship fixtures have been scheduled for next week. In order to eliminate the byes from the Intermediate Football Championship no intermediate football relegation competition will be played this year.